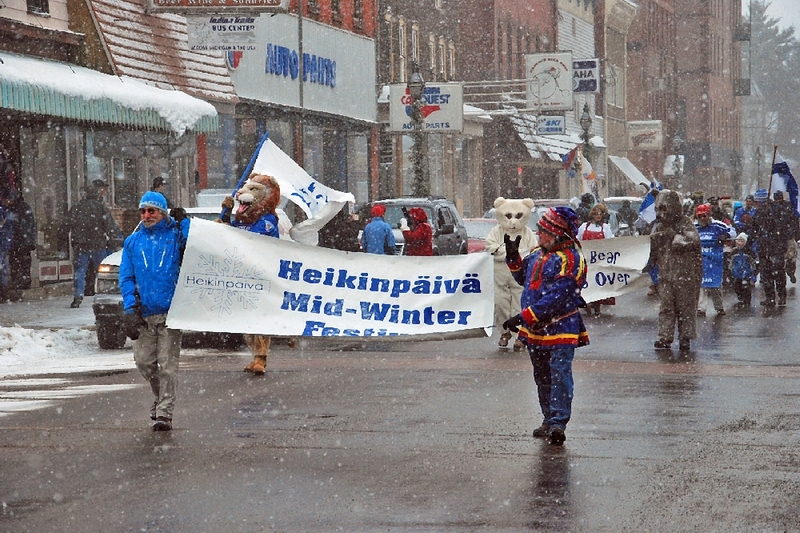 Heikinpaiva 2012 ended on Saturday, January 28th, with the Annual Parade and other activities. 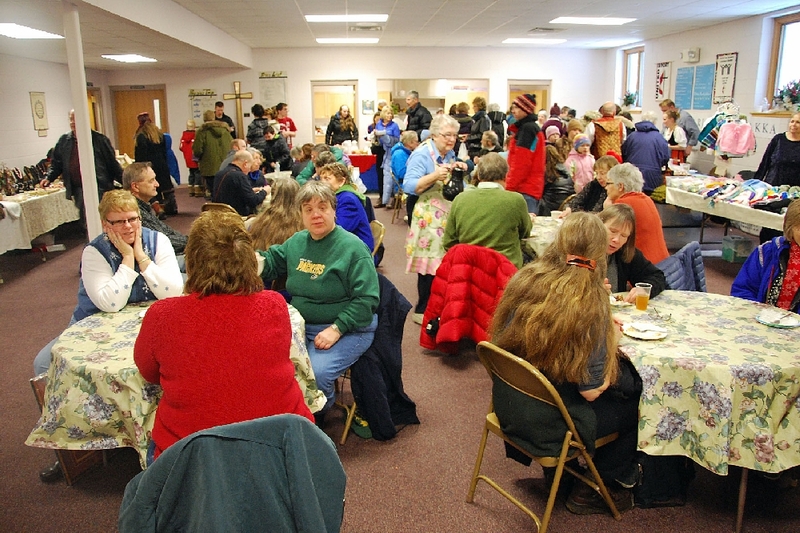 During the month, other events and activities took place, including baking lessons, weaving sessions, and for the musically inclined, kantele building classes, all this year at the Zion Lutheran Church. First on Saturday is the Parade. After a very mild winter thus far, winter returned this weekend, with light snow and blowing snow, and chilly temperatures. 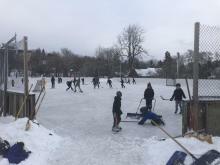 But the turnout and participation were great. What's it all about? 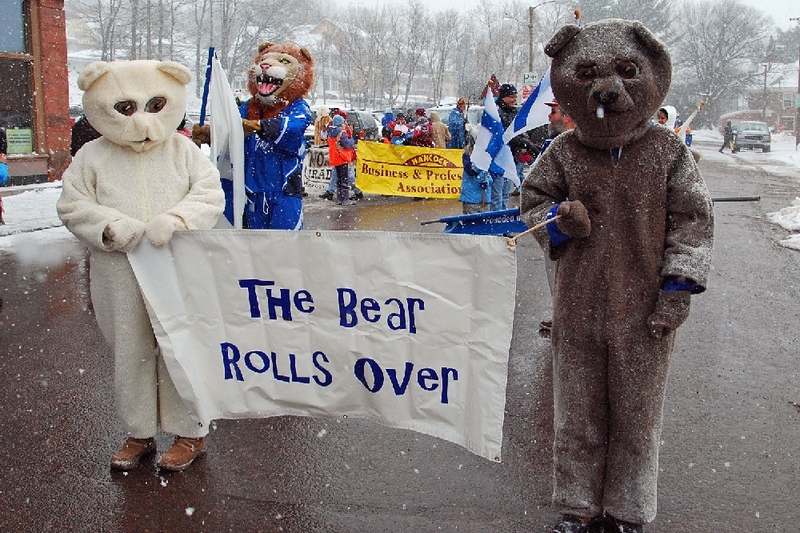 Heikinpaiva … when the bear rolls over in mid winter, as these two 'bears' carry the message. Earlier this month, in conjunction with the celebration of the Independence of Finland (January, 1917), the Cultural Counselor of the Washington Finnish Embassy visited Finlandia University. 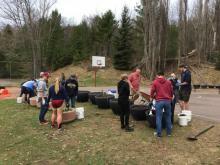 The Independence of Finland activities were held at the Finnish/American Center, as are many other events sponsored by Finlandia University, including the Heikinpaiva Tori. Some of the colorful Finnish festive costumes. 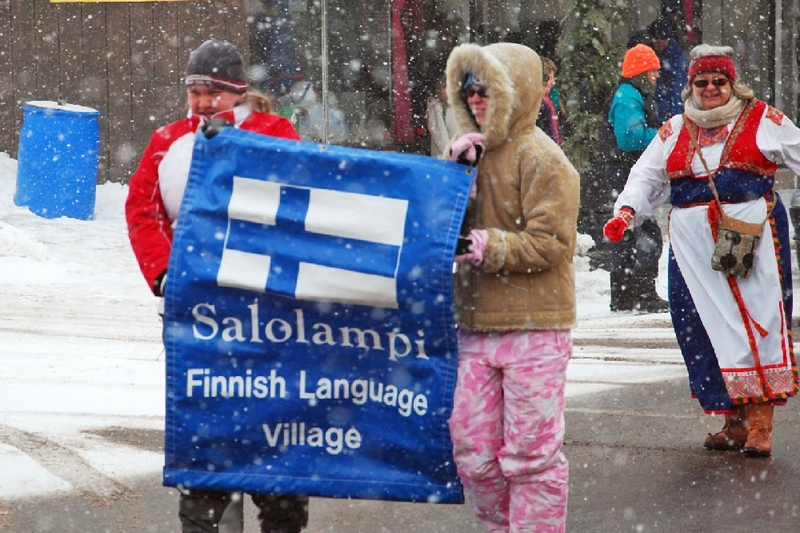 Salolampi, the Finnish Language Village, and more colorful garb. 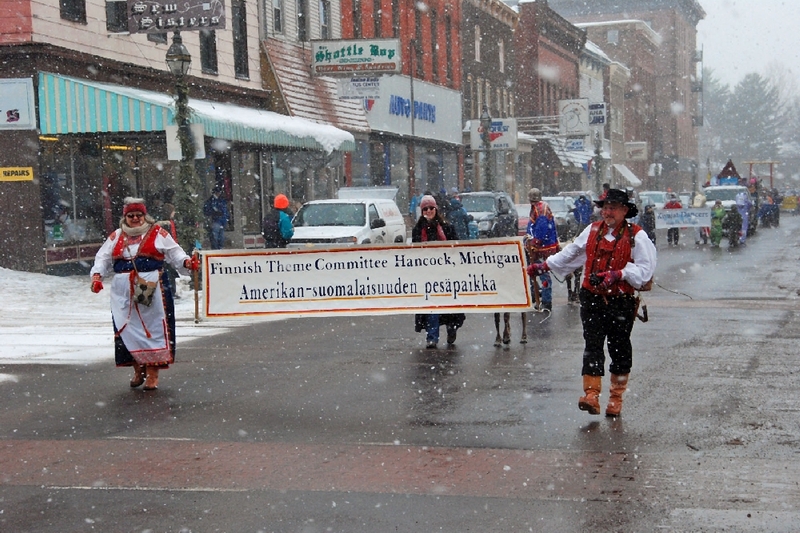 Sponsors of the Heikinpaiva Celebration, the Hancock Finnish Theme Committee, our thanks to them for a job well done. 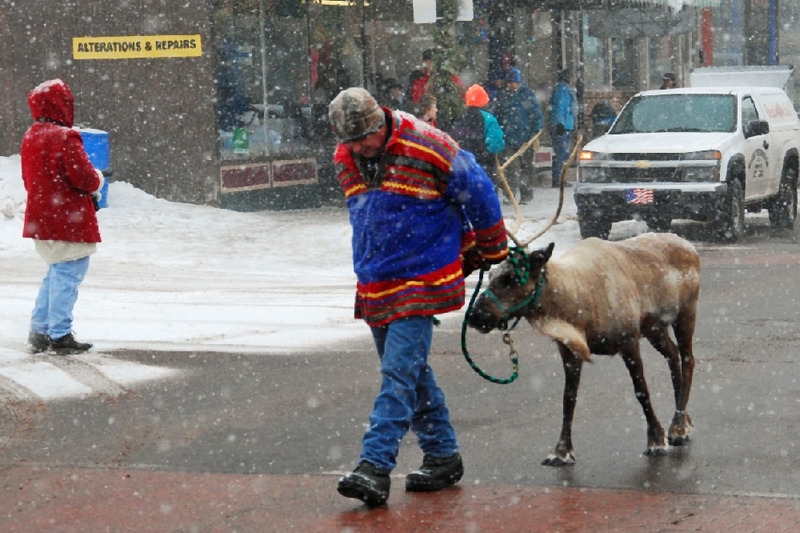 One of the reindeer brought into Hancock for the Celebration. 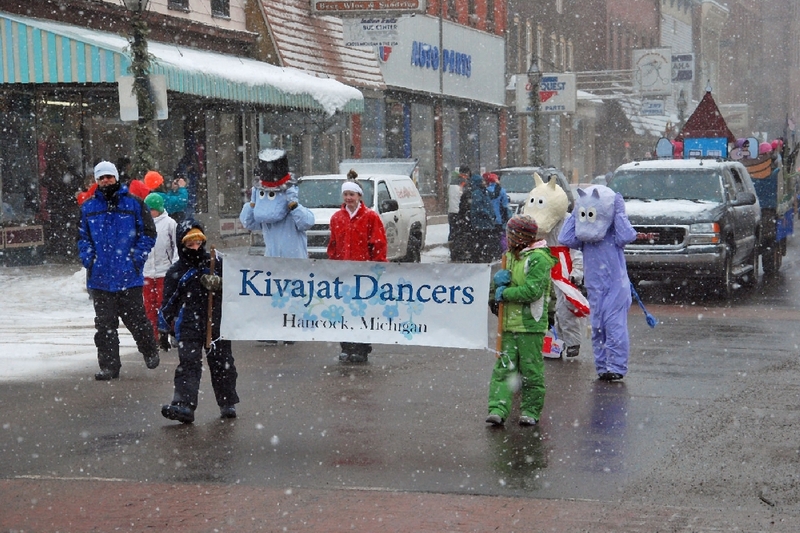 The Kivajat Dancers, a younger elementary school age dancing group, formed some number of years ago, and very popular now, performing tradition Finnish dances. 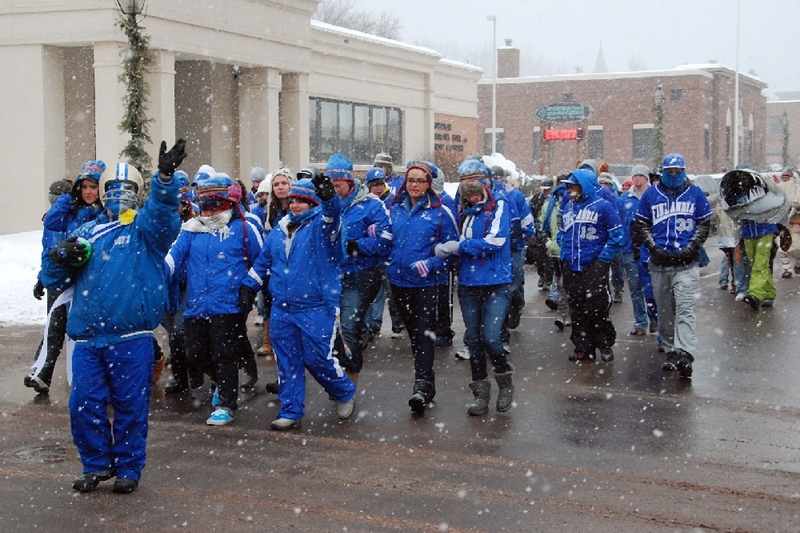 The Finlandia University Pep Band performing in the Parade. 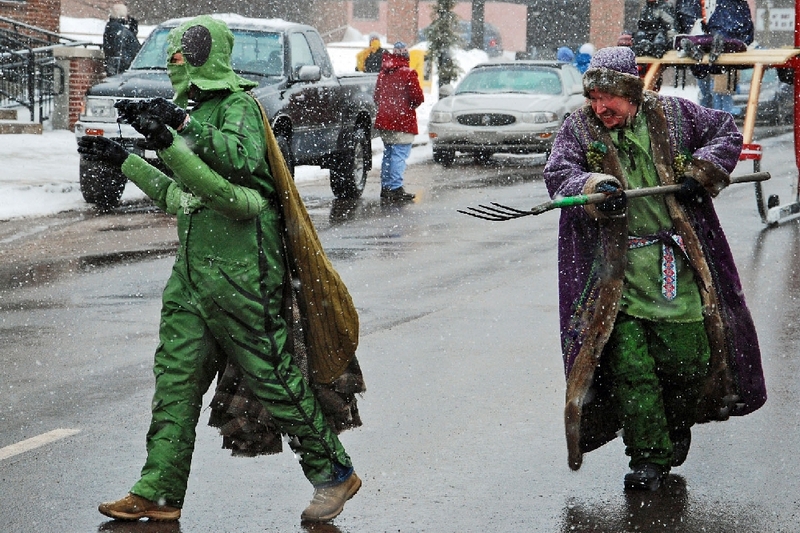 St. Heikki shows how he drove out the pesky grasshoppers out of Finland, and saved their crops. He has this pesky 'hopper' on the run. This year's Hankooki Heiki (Parade Marshall) is Hazel Tepsa. 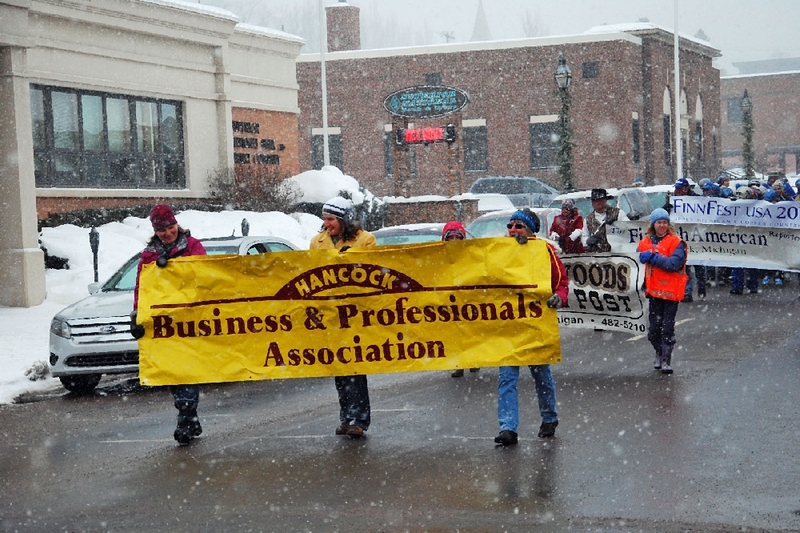 Hancock's Business and Professional Association, who also help make the Celebration a success. 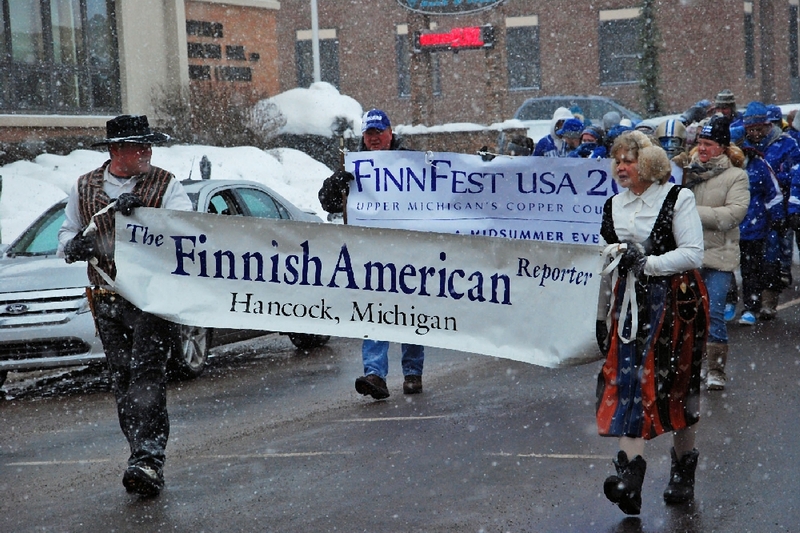 The Finnish American Reporter Journal, published monthly on the Finlandia University campus. (See link at beginning). 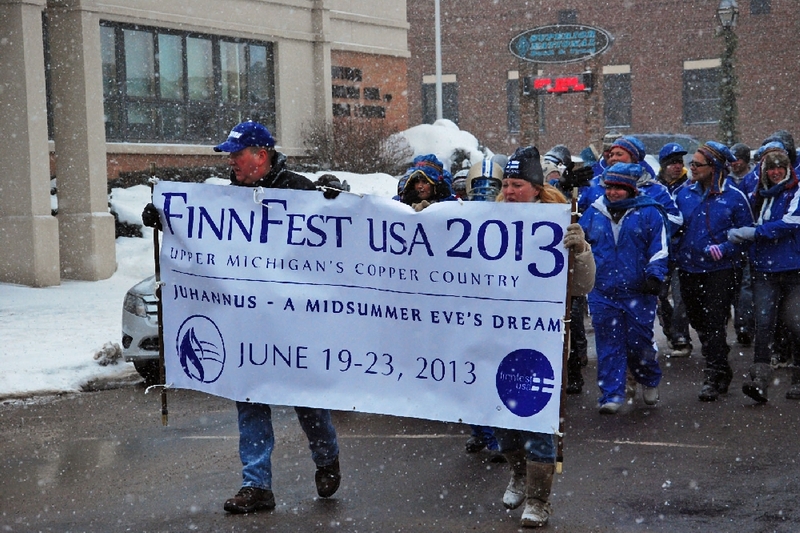 FinnFest USA 2013 is coming to Hancock next summer, 2013. 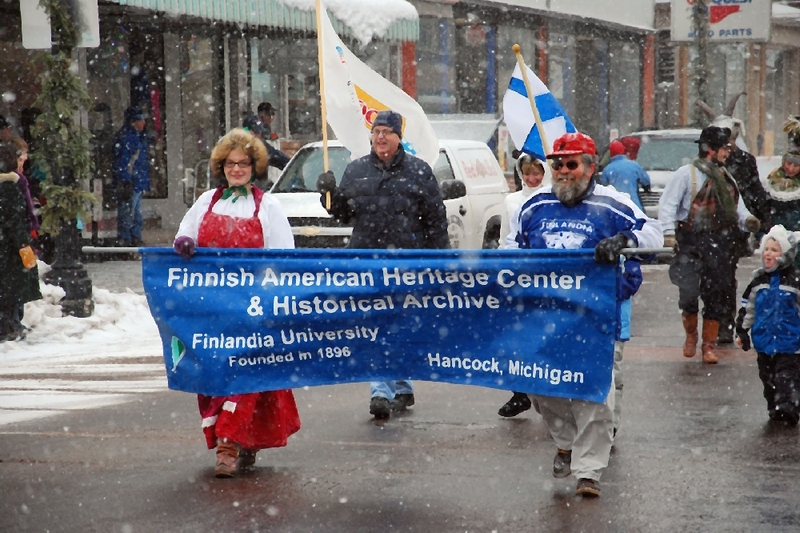 The largest gathering of Finnish heritage persons in the U.S., FinnFest is held yearly at different sites in the Country, and brings thousands of people into the area for this event. 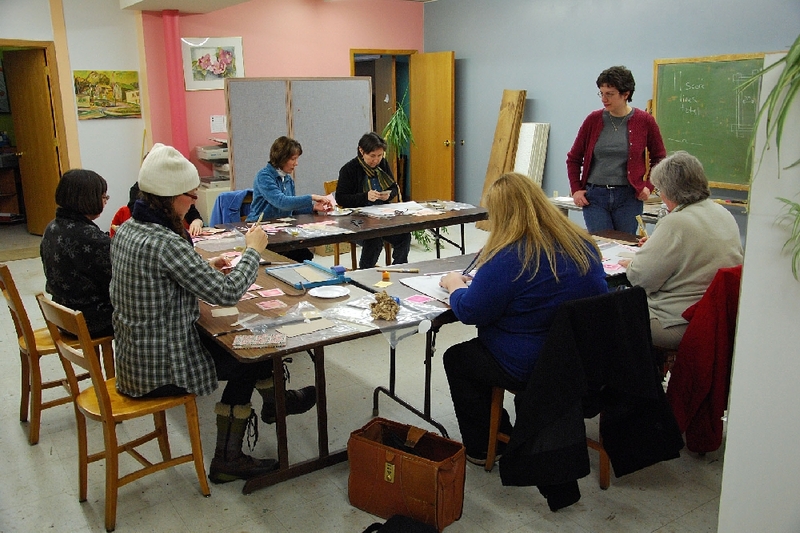 A local FinnFest 2013 Committee is already hard at work to make this a successful event. 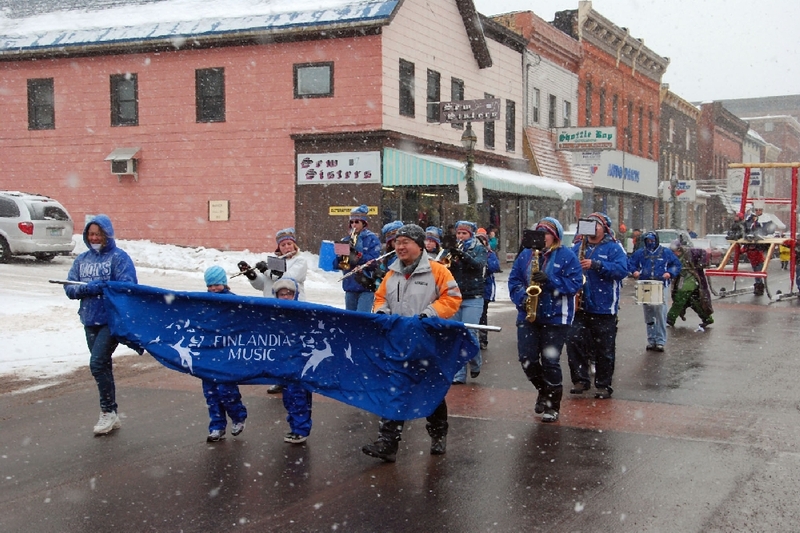 A relatively new group, the Finlandia University Pep Band. 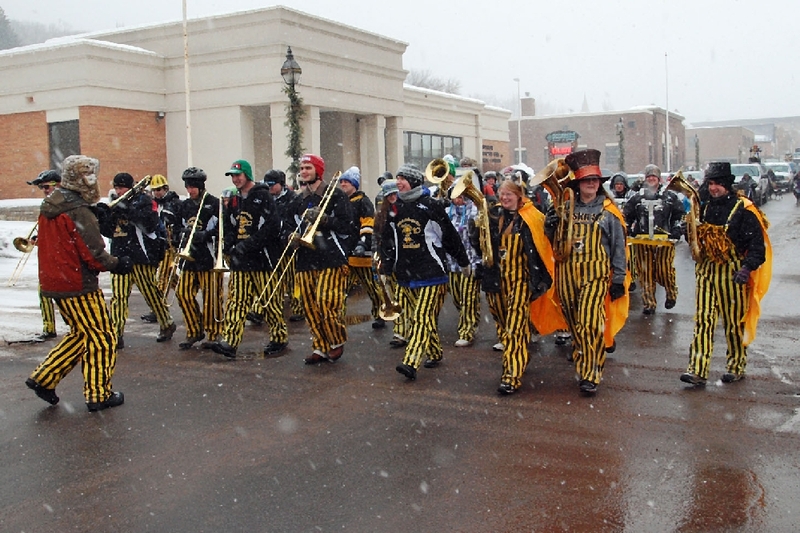 And their older rival group from across the Waterway, the MTU Pep Band. 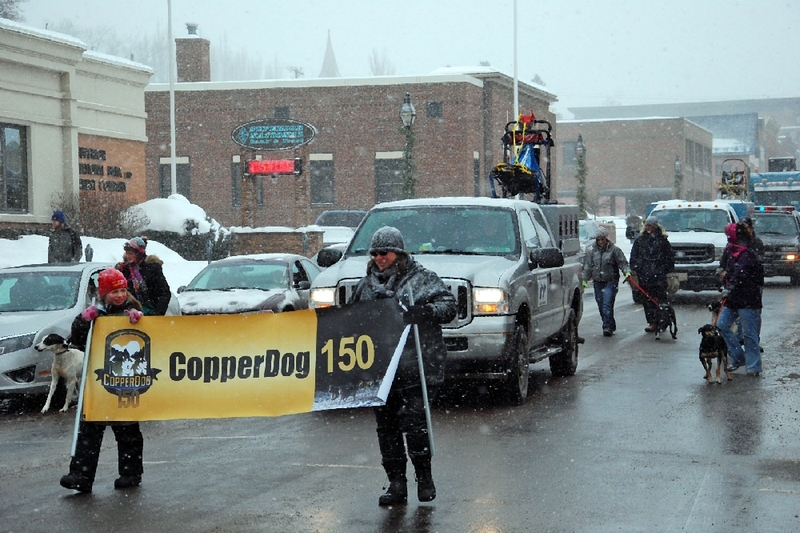 And coming up in March, the third Annual Copper Dog 150 Dog Race, from Calumet to Copper Harbor and back, a 3 day event, bringing a number dog teams and mushers from around the Country. And more this year, with the weather cancellation of the primary Minnesota races. (See link at beginning). 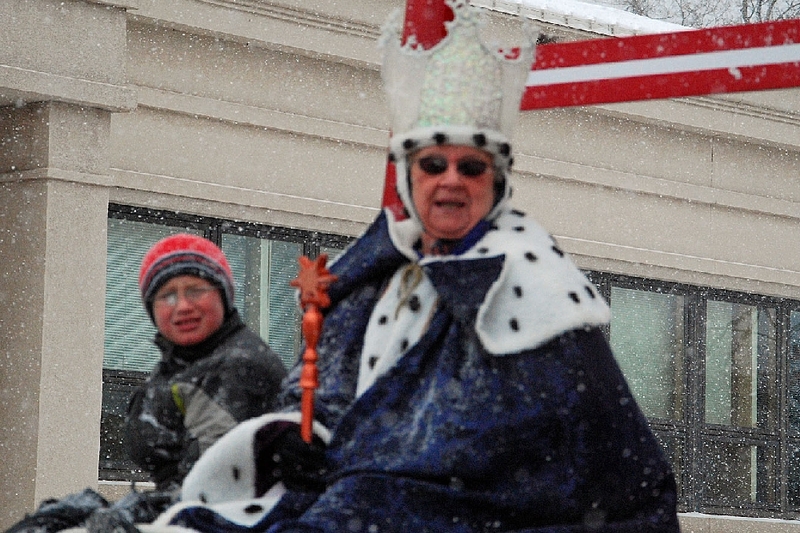 The Annual Finnish American Center Tori Market, held in conjunction with the Parade. 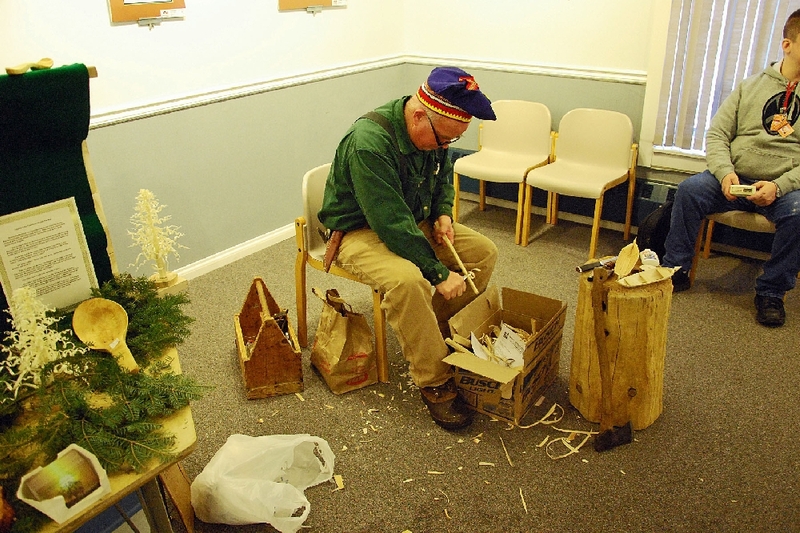 Peter Olson displays his techniques in wood carving, along with some of his creations that are available. 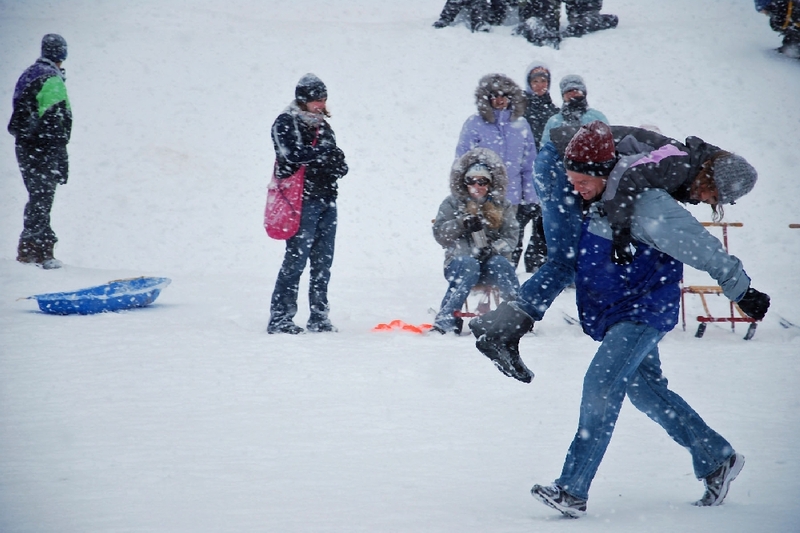 Various events are held outside, on the Finlandia Quincy Green, in front of the former Middle School Building, including the highly poplar wife carry event, in which a number of tasks must be performed while carrying your partner from station to station, all the while being timed. A boot toss for measured distance finishes the event. 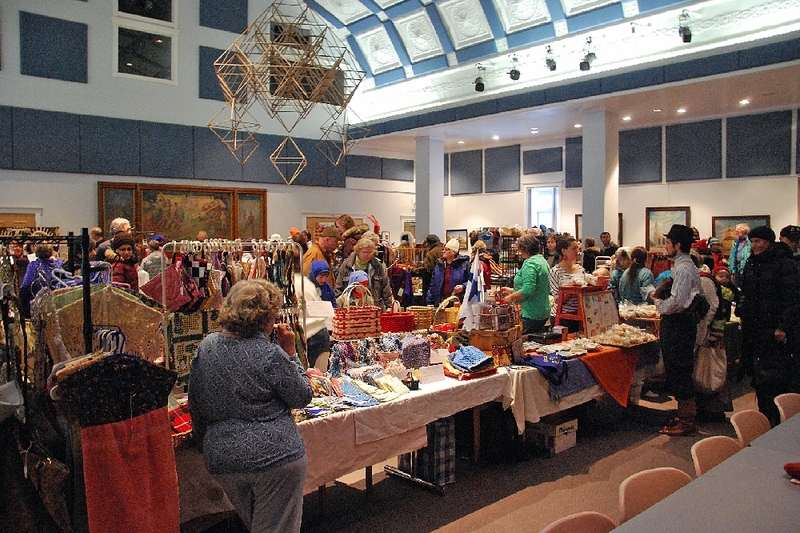 Vendors also exhibit at the adjacent Hancock Methodist Church Community Rooms, along with a luncheon availability, or just stop by for a hot chocolate or coffee. A Kalevala Art Display also was available at the Hancock Community Art Center, with hobby art classes conducted. (See link at beginning). 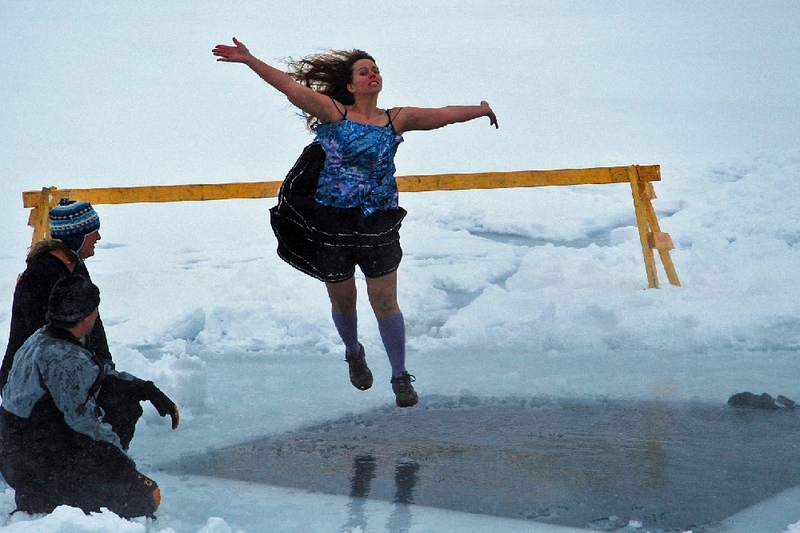 And the highly poplar Polar Dive. 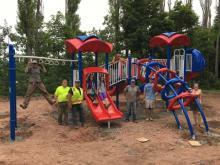 The event moved this year westward down the shoreline to the Copper Island Beach Club. 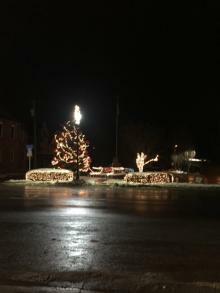 Assisting were the MTU Aquanauts, and the Portage Coast Guard Station Ice Rescue Team. While some just walk out and do it, like the previous fellows, there are some who do it with real style. 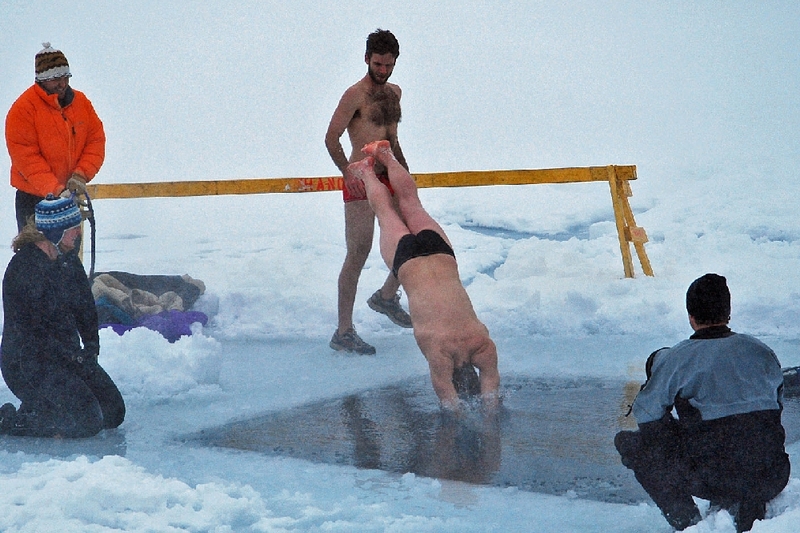 But it doesn't change the fact that the water is at, or below, the freezing point, and the chill temperature was at about 5º or so. 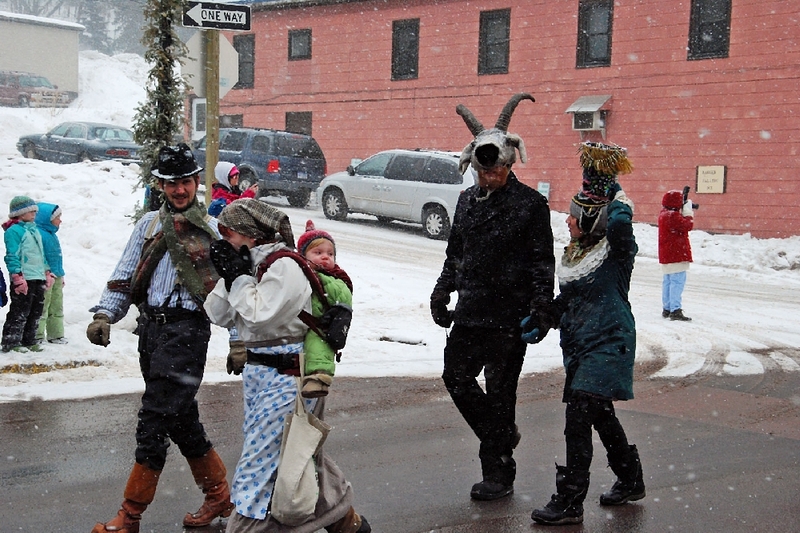 Join us next January for the 14th Annual Heikinpaiva.